Faeries, demons and clockwerk constructions (powered by gears and magic), humans, vampires, werebeasts and celestials. A pale jewel drifting through the void, this is the planet Tarlec. A still-glowing ember of the once great Imaja Empire. This reclusive race of self-made, practically immortal, animal-headed humanoids shaped in the likeness of Egyptian deities, were once feared and worshiped as gods across a multitude of worlds for more than a hundred millennia. Now they are a reclusive order of scientists and scholars, observing the ruins of their once vast domain from distant towers within the timeless capitol of Asherat. Forgotten by most, having outlived their subjects and enemies alike, they live in reflection and regret. Tarlec was settled by the Imaja roughly 60,000 years ago, in the middle of their Imperial Era. The planet had no native inhabitants, being at the time an entirely lifeless world. Imaja technology terra-formed enough so that life could survive. It was chosen to serve as a monastery for the Imaja; designated as a place to purify self and soul of the corrupting influences of the opulent lifestyle they enjoyed elsewhere. The Imaja Empire fell around 2000 B.C., following a cataclysmic war with an unnamed enemy (their name quite literally cannot be found in any records), all of the other Imaja worlds were destroyed, including Irtyu (their home-world), leaving Tarlec as their only remaining planet. Tarlec is a small, Mars-sized planet that orbits a red dwarf star, shrouded in veils of interstellar dust, far out on the frontier of the Sidhe Empire. Covered in a yellow-orange coating of sand and silt, interrupted occasionally by vast mountain ranges of dense gray stone, it is an inhospitable place. It has no open bodies of water, no glaciers at its poles, and nothing green grows there. Its days are hot and its nights are terribly cold. The few ancient cities that can be found are nestled amidst the mountains or lie within craters, usually covered by force-domes to keep out the dust stirred by the frequent, massive sandstorms which rage across the plains. The cities are inhabited almost exclusively by the Imaja. As their sole remaining world, it houses their vast libraries, as well as the deeply buried necropolises which preserve their dead in eternal sleep. All of their crops and livestock are grown within greenhouses contained in the cities. The largest city on the planet is its capitol, Asherat. From there, the planet and its people are ruled by the theocratic council of nine Hierarchs, near-godlike beings who see themselves as the living embodiment of heavenly order and perfection. There are some settlements populated by other species; they are buried deep in valleys dotted with caves that lead down to strata where groundwater can be tapped and at some crops grown. These include humans, djinn, naga, and the rare, hardy thereanthrope. It is through these communities that most of the trading is done with other worlds, and those traders, in turn, sell items of interest to the Imaja. Sometimes direct trade with the Order is possible, but only through carefully negotiated terms, as they generally do not communicate directly with outsiders. Tarlec is difficult to reach by ship, the routes leading there being full of navigational hazards, and its system is still patrolled by ancient automated sentinels which will attack unauthorized ships. Portals can be arranged for safer and more direct travel, but only with the approval of the Imaja or one of their chosen ambassadors. Their planet’s remote location and formidable defenses make it a costly and impractical target for the Sidhe Empire, so an uneasy truce has been in place for the past century since the sidhe became aware of it. To read about more planets, visit the Planets of the Sidhe Empire page. In human mythology, worlds are lost (or won) through acts of cowardice and valor. And failures may be overcome through acts of atonement. In the Neo’verse, there is one race whose actions led to the destruction of the ancient order. Those who remain now do eternal penance for their perceived malfeasance. If there were angels in the Neo’Verse, they would these creatures. In the Sidhe Empire, we find three kinds of Celestials. 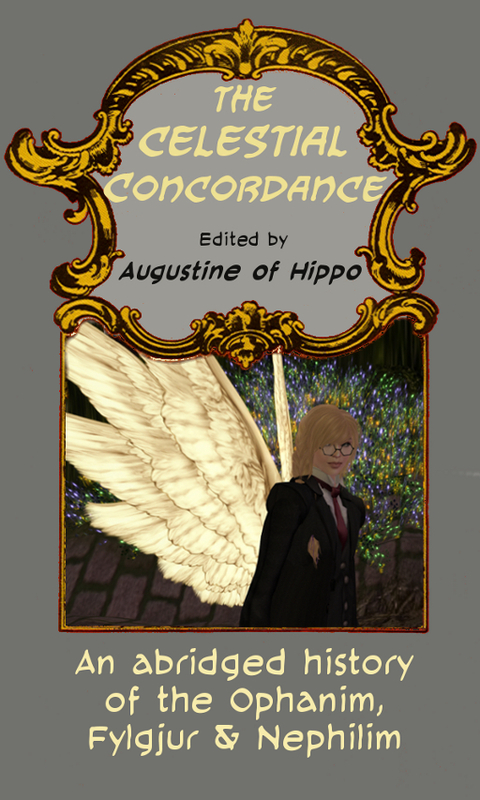 To learn more about our winged humanoids read the abridged version of “The Celestial Concordance“ posted to this site, join the community website or wander the Visitor’s Center in-world for a wearable book. In human mythology, vampires are creatures who feed on the life essence of others, generally by consuming living blood. Vampiric entities have been recorded in many cultures, and known by different names, such as vrykolakas in Greece and strigoi in Romania. and the draugr (ghoulish monsters). 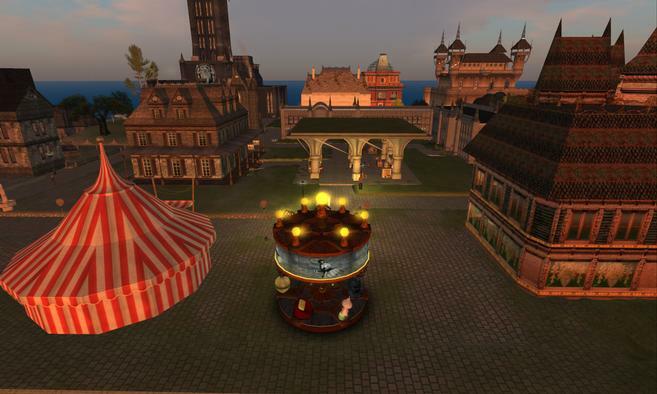 To learn more about our kindred read the abridged version of “The Vampire Concordance” posted to this site, join the community website or wander the Visitor’s Center in-world for a wearable book. Thracia is a small planet, located in the Andromeda galaxy. Strategically it’s near enough to Old Earth (the seat of the Queen and her court) to be an easy hop for an extended weekend but far enough away to be a serene retreat, relatively unaffected by royal politics. It has earned the nickname of “the shopping planet,” although it is also known for less innocent pleasures. The planet is orbitally locked, so that one side always faces the sun and the other is forever in darkness. The planet’s core is rich in essential and rare minerals, engendering an industrial blight in the unlit hemisphere and supporting a luxuriant shopping and resort area in the hemisphere blessed with eternal sunshine. This dichotomy creates a divisive local economy between the “haves” and the “have-nots,” somewhat reminiscent of Old Earth’s French Republic in the 1848. 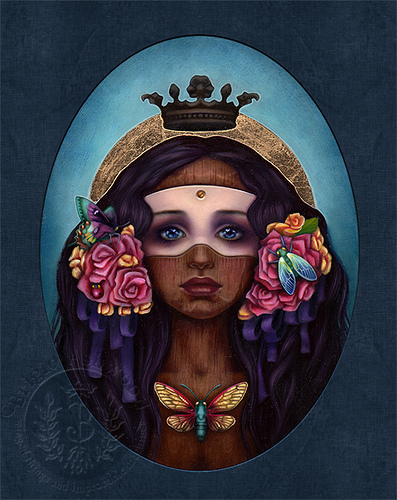 In human mythology, the “people of peace”, sometimes called fairies, or fae, are a universal phenomenon, known to every country and people of the world. While similarities exists between these legends, the lore of the Neo-Verse takes the tales of pre-Christian Scandinavia and the Celtic peoples as its primary inspiration. The fae come to us through the prism of the oldest of the stories; in the Edda, we’re told of the nine world: Asgard (Aesir, the land of the gods), Alfheim (land of the light elves), Vanaheim (land of the Vanir), Midgard (the land of men), Jotunheim (the land of ice giants), Svartalfheim (land of the dark-elves), Nidavellir (land of the dwarves), Muspelheim (land of the fire spirits), and Niflheim (the land of the dead). I know an ash standing high, a lofty tree, laved with limpid water: thence come the dews into the dales that fall; ever stands it green over Urd’s fountain. Svartalfheim, the home of the dark elves, was the most easily entered by humankind, because its doorways were found in the underground places. These fae were the earth-dwellers, the people of the hollow-hills, the spirits of earth and tree, stone and spring. In effect, they were the anthropomorphic representatives of the natural world. In the history of those ancestors, when their gods (the Aesir) were destroyed in apocalypse (Ragnarok), the bridges between the nine worlds collapsed and the cosmos was divided, so all the races were lost to each other and the dominion of man over Midgard began in earnest. In the Neo’Verse, the fae did not disappear …in our fantasy realm, a warrior queen of the elves, and those who would follow her, refused to fade from the world of men. Instead they made peace with these changes and harnessed the creative energy of humankind to create a blended empire of supernatural and mortal creatures. 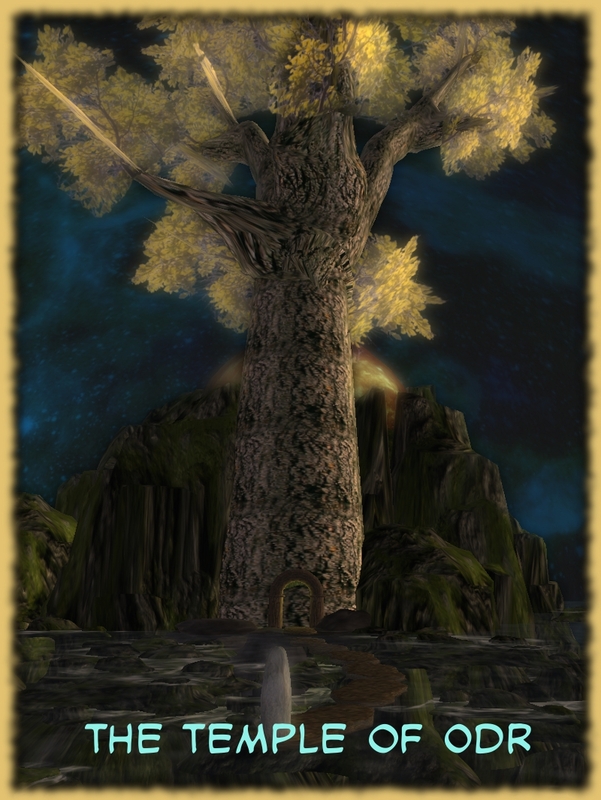 To learn more about our fae, read the abridged version of “The Fae Concordance” posted to this site, join the community website or wander the Visitor’s Center in-world for a wearable book. In human mythology, some of the earliest stories revolve around our creations taking on independent life. From Pigmalion and Galathea to Geppetto and Pinocchio, our ancestors were drawn to the possibility that the act of creation could make a new living thing. Maybe it is the oldest secret desire of our species: to create life through a personal act of creative will. and golems of pure machine consciousness. 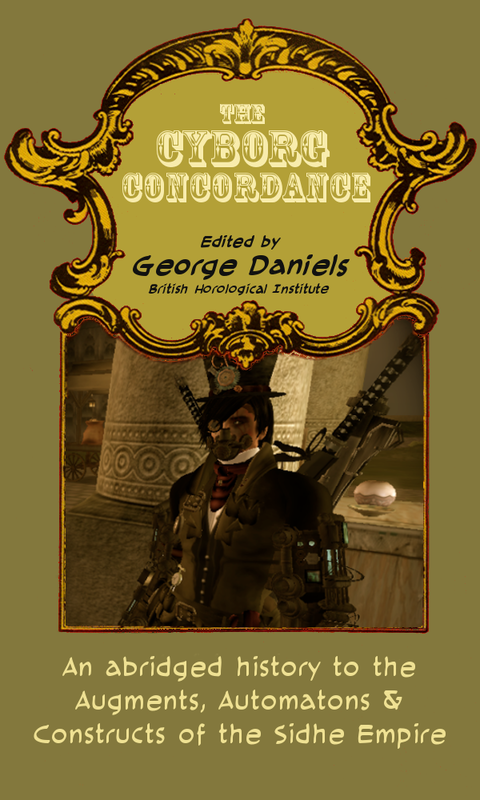 To learn more about our mecha read the abridged version of “The Cyborg Concordance” posted to this site, join the community website or wander the Visitor’s Center in-world for a wearable book.